Cool, calm and collected Fresno Unified Superintendent Bob Nelson has a temper after all — as you can see in the video accompanying this article. The trustee who spiked Nelson’s blood pressure: Brooke Ashjian, with his comments on a $1 million supplementary spending proposal for special education. A million dollars isn’t nearly enough, Ashjian said at the Nov. 14 board meeting. Nelson’s voice rose and his index finger tapped the table as he responded to Ashjian. Ashjian got in one more broadside. The proposal passed on a 6-1 vote with Ashjian reversing course and giving his blessing. Nelson and Ashjian said in interviews this week that they later shook hands and have a good relationship. 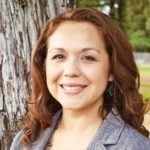 Trustee Claudia Cazares opposed the expenditure, citing a lack of parent involvement in the proposal and saying the extra money should go to hire more staff. “We should set aside those funds for hiring additional paraprofessionals, psychologists and credentialed teachers for special education,” Cazares said. Trustee Valerie Davis said that the $1 million will not bring the program up to speed but it provides a good start. “This is the just the beginning,” Davis said. The district, which has been criticized by parents and national experts for failing to adequately educate special needs students, has ramped up its special education budget since Ashjian joined the board after the 2014 elections. He and former superintendent Michael Hanson often tangled about special education funding. The district’s 2018-19 budget includes an additional $3.9 million to hire more school psychologists and speech-language pathologists, and to better fund the adult transition program. 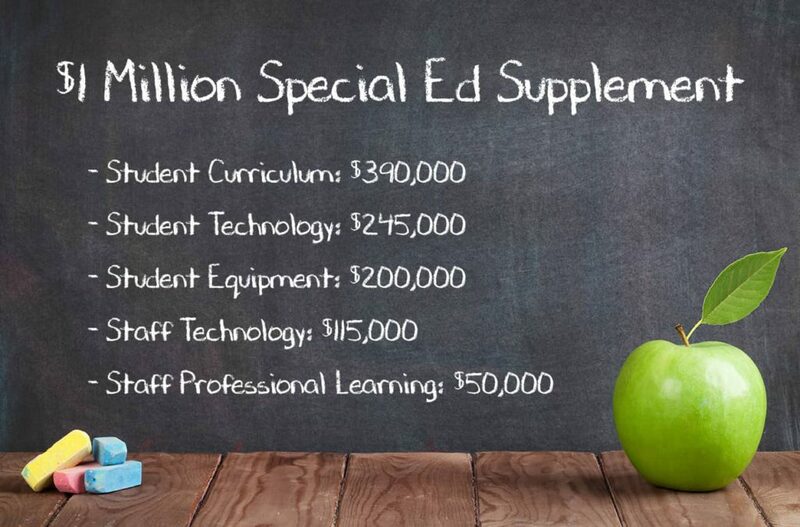 This expenditure followed additional new special education investments totaling $5.9 million in the two previous fiscal years. Nelson says that the additional $1 million approved at the Nov. 14 meeting was intended to accelerate special education improvements. In addition, Nelson explained, he wanted to allow Ashjian and Christopher De La Cerda, who are leaving the board, the opportunity to vote on the expenditure because they are strong advocates for special education. Ashjian says that the inclusionary approach to special education recommended by the Council of the Great City Schools in a comprehensive report released this summer demands a flood new spending as soon as possible. The district also must start using its construction bonds to improve facilities for special education students, Ashjian said. He pointed to Starr Elementary School, where special education classes are taught in bungalows far from the school’s main building, as a major problem. A draft list of projects to be paid for with $225 million from Measure X bonds approved by voters in 2016 lists $5 million for early learning and special “improvements” at Starr. But, as Ashjian points out, two years after the bond measure’ passage, the district hasn’t decided which projects will be funded or when they will be built. During the board debate, Ashjian challenged Nelson, saying that the district wouldn’t treat African American and other minority students as poorly as it treats special needs students. “Those kids are isolated. We’re not doing what the report and the experts say is one of the most important things to do, which is inclusion,” Ashjian said this week. “Special ed students need to be in the same classes, in the same lunchrooms and go on the same field trips. The superintendent agrees with Ashjian and Cazares on adding staff to make inclusion succeed. Nelson agrees, too, that new classrooms at Starr should be a district priority. He pointed to bond construction funds as a possibility. But the superintendent directly disputes Ashjian’s contention that Fresno Unified is padding its budget reserves at the expense of much-needed special education funding. Chrissy Kelly, a parent of a special education student who regularly attends board meetings, echoes Ashjian’s charge about the inadequacy of the district’s special ed funding. While acknowledging that the Fresno Teachers Association, district parents and some trustees question the size of the budget reserve, Nelson counters that the reserve is where it should be. District budget documents show an 8.77% reserve for 2018-19. It is forecast to dip to 6.1% in 2019-20 and 3.27% the following year. The state requires a 2% reserve. Nelson additionally says spending comparisons made by district critics often don’t distinguish between restricted and unrestricted General Fund monies. “You need to compare apples to apples, not apples to oranges,” he said. Nelson says that the tallest hurdle for the district — and the community — is “changing our views of how we see people who are different” and adopting an inclusionary mindset. “There has to be a recognition that ‘all means all’ and that we’re all collectively responsible,” he said. Nelson also said that it’s his intention, with trustee support, to dramatically improve the quality of education for special needs children as quickly as is financially feasible.